Is the Cambridge Diet Safe? The Cambridge Diet was originally conceived in the 1970s by Alan Howard, who was a chemist at Cambridge University in Great Britain. The Cambridge Diet is based, in part, on the VLCD (very low calorie diet) and is largely liquid based, with low calorie soups, shakes, and meal replacement bars forming the basis of the diet. This diet provides most of its calories through liquid supplements, which are also fortified with vitamins to prevent malnutrition. People on this diet consume between 400 and 800 calories each day, and the diet is continued until the individual reaches his target weight, according to DietSpotlight.com. The diet was very popular in the 1980s, New York Times writer Jane E. Brody said in a Nov. 16, 1983, article, but faced substantial backlash over concerns about safety as well as allegations of false advertising. Supporters of the diet point out that its effects work without requiring dieters to exercise. They also point out the benefits of having a diet in which all meals are prepared and packaged in advance. According to the company's website, the Cambridge Diet can also be modified to work around restrictions caused by dietary allergies. One of the aspects of the Cambridge Diet is that it is supposed to make use of a condition known as ketosis, according to DietSpotlight. Ketosis occurs when the body is deprived of glucose, causing the liver to break down fats and lipids into ketones, which can be utilized as an alternate source of energy. Thus, by keeping glucose levels depressed, proponents of the Cambridge Diet claim that fat can be burned very quickly. The Cambridge Diet is targeted toward the morbidly obese, and extreme results have been reported (approximately 30 pounds of weight loss in one month). The Cambridge Diet's website also explain that, due to the restrictions that the diet imposes, people looking to begin the Cambridge Diet must meet with special Cambridge Diet nutritionists and may be required to have regular meetings with these nutritionists for monitoring. Many physicians are reluctant to or refuse to recommend the Cambridge diet as a result of its highly restrictive nature. In general, physicians recommend that patients consume at least 1200 calories per day, DietSpotlight says, whereas the Cambridge diet provides for only 400 to 800. This raises safety concerns because that level of caloric restriction is dangerously close to starvation, Brody wrote. Another danger of the Cambridge diet is its induction of ketosis, which is essentially a metabolic imbalance. According to an article in the University of California Berkeley Wellness Letter, while ketosis does cause the burning of fat, lean muscle is burned as well, which can be detrimental to the body. 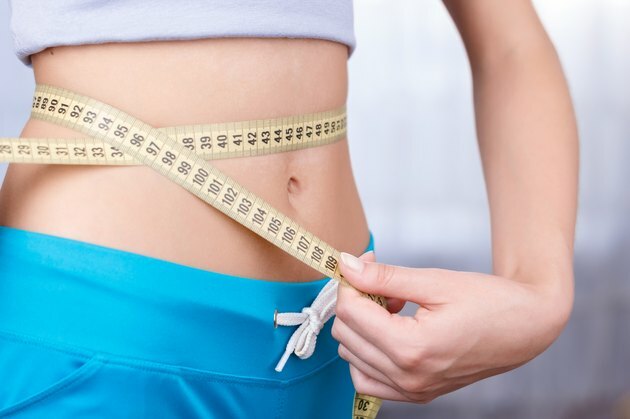 Some critics also raise concerns that the rapid weight loss can lead to loss of certain vital nutrients, such as potassium, calcium, and sodium. Low levels of potassium can lead to heart arrythmias and death. Finally, because the diet supplies much of its protein via dairy products, there are concerns about the effects of this diet on people who are lactose intolerant, Brody said. In short, there are significant health risks involved with the Cambridge Diet, Brody reported, and it should be utilized only under the right circumstances (i.e. morbid obesity but otherwise good health) and with careful medical supervision.